At St Joseph’s we use a synthetic phonics programme called Letters and Sounds. Letters and Sounds is divided into six phases, with each phase building on the skills and knowledge of previous learning. For more information please see the following document. New Way provides straightforward progression with eight levels of reading materials, supporting pupils from 4 to 8 years-of-age. The series combines a strong phonic focus with clear structure and humorous content to provide bright and attractive text. 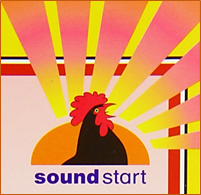 Soundstart supports a synthetic phonics reading approach, offering seven levels of progression. The books start from pre-reading through to age seven, encompassing high interest topics for early readers. Comics for Phonics helps children practice phonics without even knowing it! Perfect practice – all 44 comics are 100% decodable and matched to Letters and Sounds and bookbands. Hooks them in with exclusive characters and kid-favourites like Batman. Tests their blending skills with fun pseudo-words. Measure their mastery with an activity built-in to each eComic. 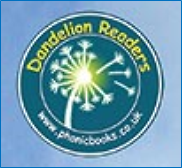 Dandelion Readers is a highly structured synthetic phonics reading series, which promotes blending as the principal strategy in learning to read. Project X is a modern, whole-school reading and writing programme specially developed to motivate boys and address the gender gap in literacy. As the UK’s most successful reading scheme, Oxford Reading Tree is currently used in over 80% of primary schools and has helped millions of children from all over the world learn to read ... and love to read. Rooted in reading for pleasure and with synthetic phonics at its heart, Oxford Reading Tree's well-loved characters, breadth and varied writing styles give children everything they need to become confident readers.